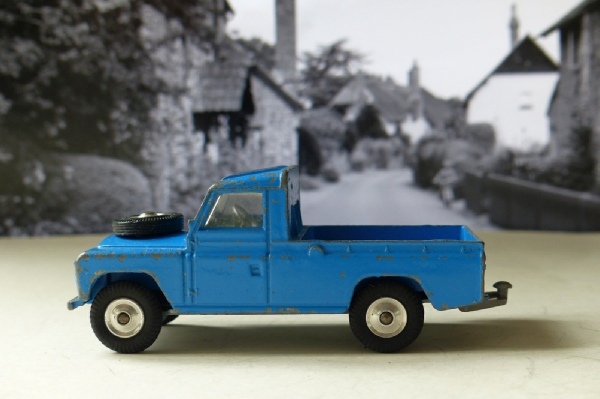 This blue Land Rover was only available as part of Gift Set 15, the upgraded set with the new horse box in matching blue and white. This is the edition with normal wheels. It is in pretty good condition - just a few chips to the paintwork. The screens are very good and the spare is there, with four good tyres and sound suspension too. The grey plastic hook is attached too. This is for sale cheaply as it is surplus to requirements. Dark green with red interior!